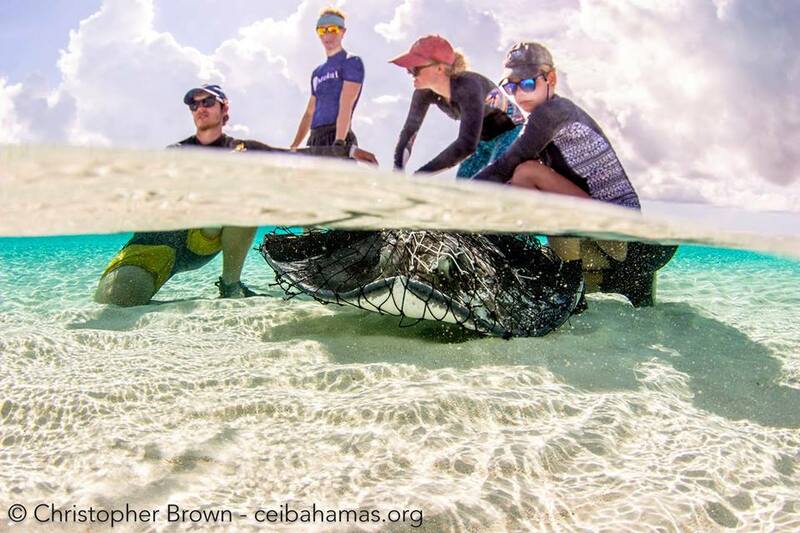 Ethan, Molly and the stingray team work up a large female southern stingray. 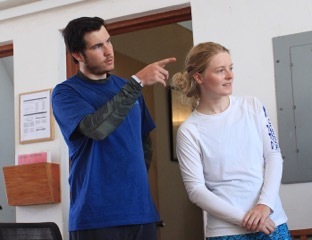 Both Molly and Ethan are researching stable isotope analysis on the two species of stingrays here in Eleuthera, the Caribbean whiptail and southern stingrays. Stable isotopes can be used to peek into the diet and ‘trophic status’ of an organism over different timescales. It basically follows the general rule of “you are what you eat”; all organic tissue has an isotopic value and, once ingested, that value can then be identified within the consumer’s body tissues. 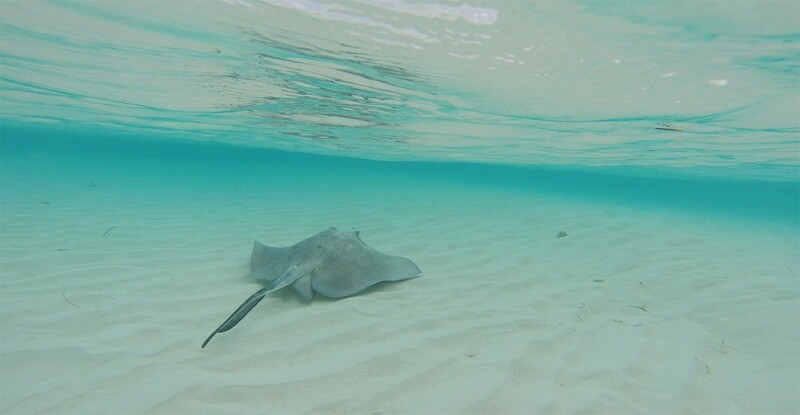 They will be collecting body tissue samples from both species of stingray, as well as diet and habitat samples, all of which will be analysed back at Exeter’s facilities in the UK. They will also be studying captive rays in the wet labs here at CEI, discerning how quickly isotopic values from manipulated prey sources are assimilated into different body tissues.